Groups > Weird and Wicked Weather > Discussions > Topic: Welcome!! fancy meeting you here, huh?� thanks for the invite. 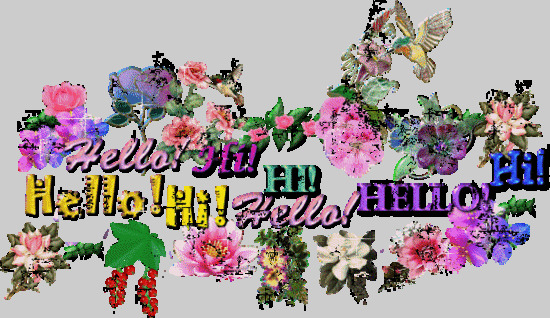 Hey!� Thanks, Dave, for the invitation . I live in South Central Kansas.� So, I�use�weather sites, of course, and one I particularly like is Weather Underground, at http://www.wunderground.com/ . On wunderground, do you have a blogging name? Reason I ask, I actively particapate in the blogs that Dr. Masters and Weatherguy03, ryang as well post. The name I have is PlywoodStateNative. I want to thank my friend, Spirit Eagle, for inviting me. Forgive me for my first post being such a short one.� I worked a double shift and I'm seeing colours. Years ago I would have welcomed that. �As it is, my bed beckons me. I shall return, and hopefully I won't be seeing double. PS: Forgive the large font. My eyes aren't as young as they once were. Hi, I'm Che from the Philippines and am glad to be�a part of this group. Thanks for inviting me my friend Spirit E.
Hello everybody , happy to be here. i havent joined any new groups for quite a while...so its wonderful and wild to be here! Dave, thanks for the invite. I live in New York State, so we don't get too much wierd weather except thunderstorms, hail and the occasional tornado. But I like wierd weather, looking forward to the group.